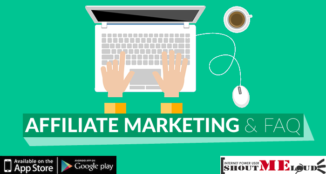 If you have been following most of the top bloggers and internet marketers, who are into affiliate marketing, one suggestion from them is if your niche allows getting into web hosting affiliate programs. Web hosting affiliate is one of the most lucrative and one of the highest paying affiliate programs available. There are many people out there who are making thousands of dollars from commissions by selling and promoting different web hosting Companies. 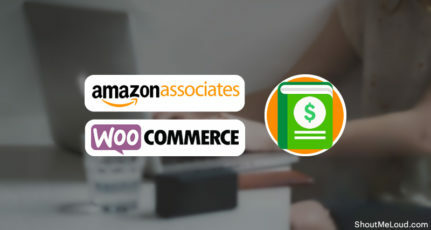 In 2019, almost all the hosting companies offer affiliate earning possibilities. Especially, if your blog teaches about how to blog, how to start a website or around Blogging and hosting niche, Web-hosting affiliate can always help to earn more than what you are earning from Adsense or any Ad network. 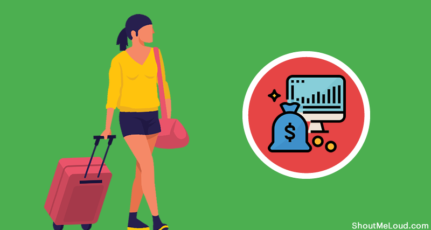 Here we will look at some of the reasons on how Web Hosting Affiliate programs can help you make handsome money and some of the Aff. programs that you can join. Hosting Affiliate Programs offer insane commissions to those who bring in new sales, for example, HostGator pays a minimum of 50$ commission to the publisher for each sale, they have an inverted pyramid type system where, the more sales you make in a month, the higher the commission for each sale, it can go up to 125$ a sale if you get 21+ sales a month. You might be thinking, “How can these companies afford to pay these insane commissions?” This is exactly what I thought when I first heard about these commissions; then I went through some literature of these hosting companies and their business plan was a pretty good actually. 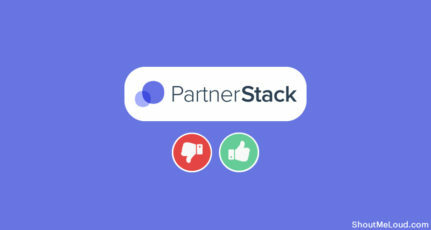 They feel that if someone registers for a new hosting plan with them, these companies are confident in their services that they can hold on to the customer for years to come. Hence they make much more than 50$ from the sale, over time. There is high interest in designing websites and building websites these days than there was say 10 years ago. So the market is growing, all you need to do is, attract this market to buy through you. This can be done by good SEO, Good use of Coupons (4th Point) as well as promoting through paid channels or social networks. With many people wanting to build websites, they are going to need hosting, so there is a huge market of people arising every day who are wanting to buy hosting. If you have corresponding articles and information, there is no doubt that you will bag some commissions each month. These are just some of the Topics, which have a good potential to get commissions. You will not believe it when I say that I got my first two commissions from HostGator through a Personal Blog and another from an Education Blog. Even today I am dumbfounded how that happened, but as I said your niche does not have to about Hosting.The central point is whatever be your niche, you earn a fixed commission of a good number of dollars, unlike Media.net or AdSense, which depend mainly on your niche and pay according to the keywords. Most of the Hosting Affiliates provide custom coupon codes for you, if someone buys a hosting plan using those coupons, then you can get the commission. If it’s possible, try to make your codes very simple and easy to remember, market these codes at your blog stating the discounts they offer.If you use your coupons well, you can earn a lot more than with any CPC or CPM platform. Coupons give an incentive for users to go and buy a hosting plan for their website. With the Hosting Companies providing so many opportunities, I think if you just do a little hard work you can surely earn a lot from Hosting Commissions. 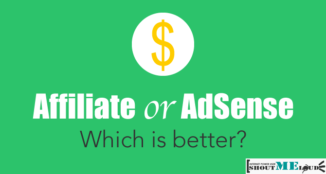 Make use of this high paying type of Affiliates, I am sure that you will not regret it. Now, there are many Web-hosting companies that you can pick and join their affiliate programs. In most of the cases, joining Webhost affiliate program is free, and I will also share how you can find an affiliate program of any Web-hosting. You can also use Affiliate marketplace like Impact, Shareasale, CJ to find many high-paying Web hosting aff programs. But, I prefer joining directly to any hosting affiliate. Though, don’t try to jump into every hosting affiliate network. Pick the affiliate of hosting which you are using, and you are confident of. For example, at ShoutMeLoud you will notice under suggested Web-hosting, there are three programs and all of them is personally used by the team here at SML. So, it’s always aa bit of wise advice to suggest something that you are sure of and confident about. Bluehost hosting offers a generous affiliate program which is open for everyone to join. They pay a generous commission of $65/sale and payment is done via PayPal. If you are driving huge amount of traffic and sale to Bluehost, they will increase your commission to $120 as well. All the hosting company offers a discount coupon to increase their sale. You can keep an eye on the latest hosting discount coupons, by setting up Google alert or follow those blogs or sites, which share latest hosting discount coupon. Whenever you find any discount offer, that is hard to resist., share it with your readers by blog Post, Email newsletter, Fan page or Twitter. If the discount period is longer, you can add a banner at prominent space on your Website. Many Hosting companies offer their affiliates to create a custom hosting discount coupon. This will help them to increase their sales. For example, here at ShoutMeLoud, we have a custom coupon “SHOUTMELOUD30” for HostGator hosting, which offers flat 30% discount. Similarly, you can create your own custom coupon. If you are using your blog to promote it, keep the coupon code close to your brand name. When I shop for any Web host for me, I usually read lots of review for a different hosting company account. Hosting comparison sites are very popular to pick the best host. Though, it’s really hard to find the genuine one, but if you can create an honest site with a great review, comparison, and discount coupons, a proper strategy can do wonder to your make money arsenal. If affiliate market is something which interests you, Web-hosting Affiliate is something which you should probably look into right away. Don’t forget to subscribe to our Email newsletter, to get an update on our news guide on starting your own Domain business. 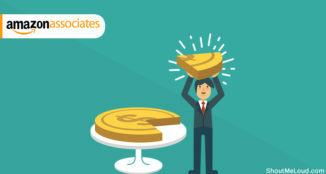 Do share which is the most successful Hosting Affiliate program for yours? A good post . Do these hosting programme give recurring income when the person who booked hosting with our affiliate link renews his hosting service? Will I get 65$ commission even for a domain purchase on bluehost? It’s the 1st post I read from my search. from your article, it seems a bit difficult to promote any hosting company without established blog (that ever the niche is). you cover a bit of review post. but I did not find any paid marketing method or social media marketing. will they profitable? I applied for bluehost affiliated programmer and got approval. I found that a got referral code and links provided by bluehost is for 5.95$ per month for my account, but when i checked you website & few else i found 2.95$ mention on Blue host banner. This exclusive rate is for top affiliates. You need to start sending them more than 50+ referral a month to get discounted rate for your link. Currently i am getting 65$ from bluehost. As you are a reliable Partner to Bluehost Hosting, Are you getting more or same 65$. If more than How can i get more than 65$ commission from bluehost (In terms of Total number of sale.). 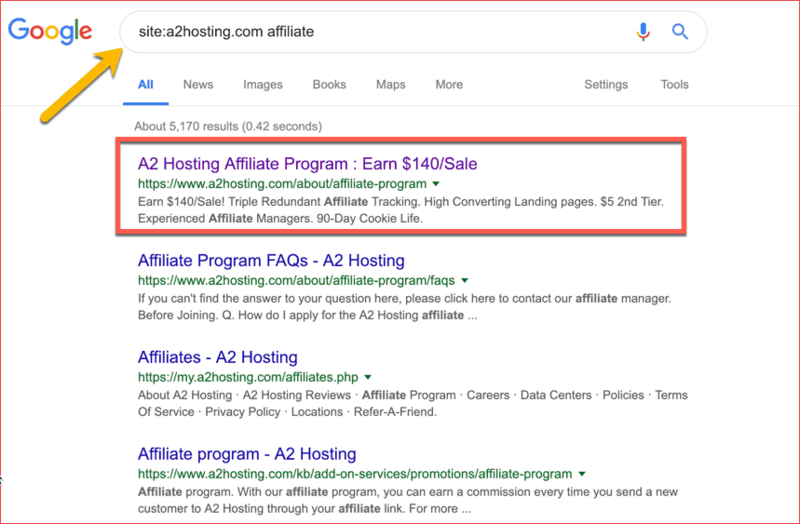 If you want to increase your commission, you can contact your Bluehost affiliate manager and then explain to him why are you a fit candidate for increasing the affiliate payout. Answer questions like:How much reader base you have? What is your conversion ratio or How many sales do you expect to make in a month. If they find you fit, they will increase your commission. is it affiliates.hostgator.in or hostgator.com(impactradious) ? Nice article to monetise your blog, I have incorporated Viglink and other plugins. Will try affiliates too. Nice Post about webhosting affiliation . I really appreciate . thank you !! I have recently joined Bluehost Affiliate Program. Can I share my Bluehost Affiliate link directly on Quora, Facebook and other social media??? Please Sir, Reply as soon as possible. I have started a hosting discount coupon website yesterday after reading this blog. Nice post.Which web hosting company allows you to create your own custom coupons discount in india can you give the list.thanks in advance. Hello! Thank you for the tips provided here which i consider extremely valuable as a beginner. I have a question. If a person who clicks through my bluehost affiliate link, will bluehost inform him that I was paid an affiliate income to promote that link? No, Bluehost won’t inform this to them. Very useful information and can help to those, who want to learn about to make money with web hosting affiliate program. Because I’m using Siteground for more than a year and I really like their service, so I joined their affiliate program. I had my first sale with them for $50, which is in pending status right now. I’m planning to join more hosting affiliate programs. Excellent write up on Web hosting companies, affiliates and the strategies followed by them.. very impressive post Gautham..but i have a question that can a sub-hosted domain like blogspot.com gets a approval from any of these affiliate programs? This is very helpful info. I joined Bluehost affiliate program and started writing reviews as you suggested. They really do work. Thanks Harsh!! I am having affiliate partnership with 10-15 major web hosting company. Till now I have received around 15K as commission and most of the commission received from HostingRaja. But, do suspect that their affiliate link do not track affiliate transaction properly. Bcoz for my commission, I had to do long fight with them and after manual adjustment they remitted the commission.